As I wind down the rankings of wide receivers, while sipping back on some Wild Turkey Bourbon Whiskey, I realized that WR is ridiculously deep for fantasy. I always knew there were at least 60 draft worthy receivers, and now realize that for every 90 ranked, there are another good number of receivers you could make the case that could also be ranked. That and there are players in this section that some people argue could be higher. Names in this part of the receiver rankings are by no means total scrubs, but there are some names I wouldn’t go near. On the flip side of that coin, there will be some names that I will be looking at, and other serious fantasy owners should also. 61.) Ryan Broyles – Somebody has to step up opposite Megatron, correct? Yes, and the likely candidate is Broyles. Despite working himself back from a left torn ACL from 2011, during his last days as a sooner, he posted admirable numbers in Detroit, before tearing his right ACL late in the season. Assuming he’ll be good to go to start the season, the sleeper potential here is significant. The Lions will likely play it safe with him to start the season, but once he earns Matthew Stafford’s trust, he’ll be on his way to exceed this projection of 40 receptions (RCEPs)/450 receiving yards (REC YDs)/3 TDs. Definitely worth a speculative add in the last rounds. 62.) Greg Little – His upside is severely dampened by Brandon Weeden. The good news is that this Cleveland Brown looks to open the pass game up more this season, with Norv Turner and Rob Chudzinski running the offense, allowing for potentially more downfield plays for Little. Add to this Josh Gordon being suspended the first 4 games of the season, and Little could build upon his promising 2011 season, after regressing last year. Potentially a 60/600/4 receiver, but depends on Weeden’s scattershot arm. 63.) 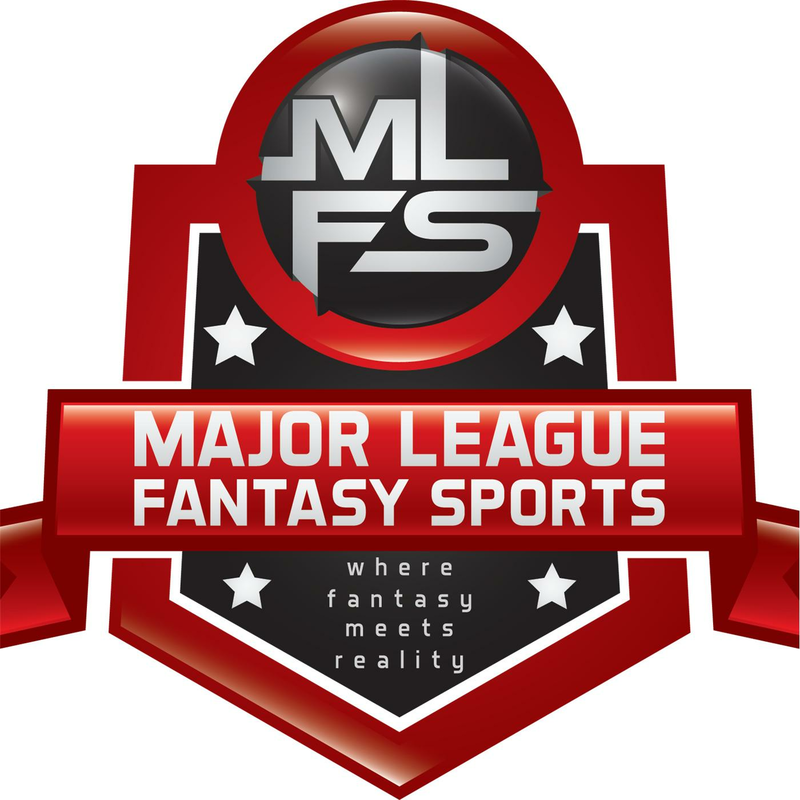 Santana Moss – His last name describes what he essentially is in terms of fantasy these days: Moss. Four of the past five seasons his stats have done nothing but go south, and unfortunately that trend may continue this season. The good news is RGIII is expected to be ready week 1, and is the type of QB that changes the game when he steps on the field, which could help slow Moss’ nosedive slightly for this season. If you’re feeling lucky with him, or are a Redskins fan, draft him, but expecting more than 45/560/5 would be reaching. 64.) Andrew Hawkins – After grabbing hold of the Bengals slot receiver duties, he never let go, and will open this season in the same capacity. His upside is somewhat limited at age 27, but that also is the beginning of the prime years in any sport, so a breakout season could be coming. Considering his yards/catch is likely to remain at or around the 10.5 range, a 60/620/6 stat line would be a sneaky line for any late round flier, and could be the difference to put any owner over the hill any given week. 65.) Brandon LaFell – I’ll draft him based upon upside only. Yes, he turned in a decent 2012 season, but his physical tools outperformed his production. His career high in receptions is 44, but until he shows he can produce more consistently for fantasy purposes, I’ll stay away until the late rounds. I like his upside at 6’2″, 210 lbs, but I’ll need to see more than a likely 50/700/4 season from him, before recommending him as more than a fantasy late-late round WR with upside. 66.) Malcolm Floyd – The fastest WR on the Chargers. However, Danario Alexander asserting himself as WR1 in San Diego, and the presence of Keenan Allen (draftee), likely relegates Floyd to WR3. The speed is there for him to contribute, but as soon as Allen proves he is fully recovered, Floyd’s value plummets, unless River goes all Michael Jordan on us (highly doubtful with shoulder questions). Expect 50/660/5 from Floyd, with anything more a bonus with Keenan Allen in town. 67.) Brian Hartline – There are two questions to his success: Mike Wallace, and if Hartline can stay healthy. If he could stay healthy, he’d be good for 60/770/4, but since he’ll likely miss time, put him down for 45/600/3. Draft late at you own risk. 68.) Dexter McCluster – Speedy. Is this the year he finally breaks through as a slot receiver? If so, he’s worthy of a very late round consideration, if not, waiver wire (WW) material. With Alex Smith in his first season in Andy Reid’s KC offense, anything more than 60/500/3 is a reach. Draft accordingly. 69.) Brian Quick – The Rams are on the right track, but I question the offensive attack. Add to the mix Quick being WR3 behind Tavon Austin and Chris Givens, and you get Quick as a 35/400/3 receiver. Draft at your own risk albeit upside. Tier 8 – WR4 material, but keep tabs on the young guys here. 70.) Santonio Holmes – As long as Mark Sanchez is starting QB, Holmes won’t be anything more than a bye week filler, at best. If Geno Smith starts, however, I’ll give Holmes 50/500/3. 71.) Nate Burleson – WR3 in Detroit at best, he’ll need an injury or 2 to make a difference fantasy-wise, as Broyles is easily WR2. Anything more than 45/500/4 and you’re lucky. 72.) Stephen Hill – Let me know when Geno Smith takes over as QB over Mark Sanchez. Until then, Hill’s upside is limited as a 40/500/4 receiver at best. I’m moving past him, as should you. 73.) Markus Wheaton – He’ll likely start as WR3 in Pittsburgh, but having a similar skill set to Mike Wallace, he could end the season as WR2 in the Steelers’ pass offense. Seeing him replace Emmanuel Sanders (who’s on a one year deal) is extremely likely this season, and could emerge as a deep threat to red zone target behind Antonio Brown. My watch list is officially set on him. 74.) Golden Tate – Every WR3 eventually has his season, and this season could be Tate’s, though it’d take more than a 35/450/4 season for him to be anything more than a WR4 or bye-week filler. The upside here is nice, however, as Wilson proved he can throw the ball accurately, and Tate will still start in Seattle, albeit as the 3rd option. 75.) Quinton Patton – My favorite, over A.J. Jenkins to emerge as WR2 in San Francisco, but will take time. Draft him late, but be prepared for empty weeks on his way to a 45/550/4 season. 76.) Darrius Heyward-Bey – He should have been released after the 2007 season, but the Raiders spent a first round pick on him and felt obliged to keep him until the past offseason, when they cut him. I didn’t like him in Oakland at all, as he was a complete bust. Playing in the slot in Indianapolis is definitely an upgrade, but last year’s slot man, Donnie Avery, was more consistent, with better hands. I’ll give him 50/700/4, but that’s about his ceiling, unless he holds onto the ball. Waiver wire material, but keep an eye on. 77.) Dwayne Allen – I like this kid’s upside, and he could contribute in Dallas, but Bryant is still gonna command a ton of looks. If Austin goes down again, Allen could be the biggest benefactor, as he is currently penciled in as slot receiver in Dallas, and could break a few big plays, though inconsistent. 40/550/5. 78.) Kevin Walter – A better receiver than he’s been given credit for. The problem is that he was stuck behind Andre Johnson all those years in Houston, and now in Tennessee, his stats will fall further still: 35/450/3. 79.) Davone Bess – Cleveland has fully committed to the spread ’em wide and go deep offensive philosophy (giggity), but Bess has the smallest upside of any of the starting 3 wide outs in Cleveland (giggity-goo). Gordon and Little will dominate looks for the most part, but Bess will have his days as well, just infrequently. In points per reception leagues (PPR) he’ll have marginal value, but not much, as Weeden is very suspect at starter. 40/480/2. 80.) Josh Boyce – The other rookie the Patriots drafted, but Dobson will be better. The one thing Boyce does have on Dobson is speed, but Dobson’s size/speed/great hands trio will keep Boyce from too many big plays. I’ll take a last round flier here and stash him, as the Patriots offense is elite, but I don’t expect more than a 30/400/2 for this season. 81.) Cordarrelle Patterson – His upside is immense, but he’s a burner with shaky hands, and was a developmental pick in the 2013 NFL draft. He will start as Minnesota’s WR2 and play some split end, but it will be at least until next season when he starts showing what he can be. Given his 4.42 speed, however, I could envision a 36/515/3 season this year. 82.) Jarius Wright – The 3rd receiver in Minnesota, he’ll get a handful of receptions and scores, but will be at risk of being faded out should Patterson develop quicker than expected. Look on the bright side, Harvin saw 9 targets/game last season out of the slot, so there is PPR upside. 45/525/3. 83.) Kenny Stills – Stills, another fast receiver, will play the role of home run hitter in New Orleans. This means Stills will have weeks where he’ll get two receptions for 90 yards and a score one week, and the next week get shut out. The upside here is immense, as New Orleans is one of the elite 3 in terms of passing offenses. 25/400/4 could be a nice starting line for Stills. If any receiver ahead of Stills goes down, grab Stills off the WW immediately if he’s there. 84.) Harry Douglas – No, I’m not including him on the rankings because he’s a Falcon. Douglas is included because the Falcon’s pass offense involves all receivers, and he would easily be a WR2 on most other teams. Despite him not recording more than one TD in any of his previous four seasons, I’ll put him down for 40/405/2. 85.) Joe Morgan – Notice a theme here with the elite pass offenses? The favorite to open as WR3 in New Orleans, I bet Stills steals the gig. Even as WR4 in New Orleans, Morgan could still out produce a good number of teams WR2s. Given his down field threat and more familiarity with the New Orleans offense, I’ll bet he goes 25/450/3, but he won’t repeat his insane 37.9 yards catch, nor his clip of 29.4 yards at the point of the catch. Sleeper for sure. 86.) Denard Robinson – Don’t you just love cherry picking? In all seriousness though, he might actually be a surprise this season. He’s essentially a WR/RB/QB (please let him throw a few passes), so he’ll likely find a way to contribute to fantasy teams, albeit likely not immediately. Keep an eye on how Jacksonville uses him, but don’t be surprised if he puts an awkward line of 20/300/2 passing-wise, 30 rushes for 200 yards and 2 TDs, and another handful of completions for 500 yards and three or four scores. 87.) Jeremy Kerley – Those of you looking for a true WR3 to grab, here’s one for you. He’s a Jet, so remember that, and then you should remember why he’s still on the waiver wire at the conclusion of the draft. He isn’t going to repeat his 827 receiving yard performance from last season. He’ll regress to a 50/600/2 receiver, which has value in PPR leagues, but that’s about it. 88.) Rod Streater – He’s actually the 2nd best receiver on the Raiders, but the downgrade at QB position to well below average levels this season squashes any upside Streater had. His size/speed/route running ability trio is nice, but still won’t help him get north of the 40/515/3 line. 89.) Vincent Brown – I actually like him more than Floyd, and if he truly does crack the starting 3 in San Diego, swap his spot with Floyd. He has clean-cut route running and great hands, but the logjam in San Diego is a fantasy killer. If Brown cracks the starting 3 in SD, which I believe he will, then 45/600/3 for him, which ends Floyd’s relevancy in fantasy. 90.) Josh Morgan – The likely WR3 in Washington is intriguing. Should Morgan be fully recovered from off-season ankle surgery, and if he rediscovers some of his big play ability, he could be a 45/550/2 guy. Remember though, Garçon and Davis are first and 2nd sheriffs in D.C., and first in line for receptions from RGIII.